Darkness doesn’t always have to be bad. Pagan folk have known this for millennia as they observed the phases of the moon and cycles of day and night. Darkness is an important part of nature and the cycle of the Wheel of the Year. Life cannot exist without it. Therefore, darkness is good and serves a Divine purpose in our lives. Darkness is not the place where evil dwells. Instead, it is full of mystery, intuition and the whisperings of the Spirit. During dark times we are held safely in the womb of the Divine, even though it may not feel like it. According to Genesis, darkness is the moment before light is spoken into being. It’s a time of waiting for new life to be born. Darkness can be a disturbing time, but disturbance is not always a bad thing. Often it is the catalyst that helps us to learn and eventually germinate something new in our lives. These are some of the things my Wiccan sisters and brothers have taught me about the power of the dark. It is quite different from my Christian upbringing where darkness was always talked about in hushed tones and with fear and dread. 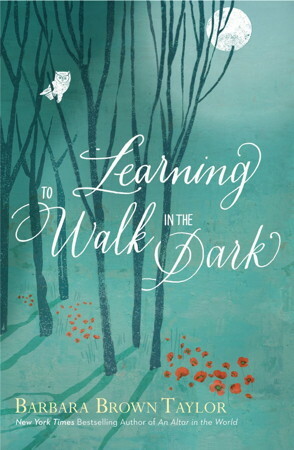 Thankfully, Barbara Brown Taylor was brave enough to wade through these dark waters of mystery and also lift up Biblical examples where darkness is spoken of in a much more positive light. This is definitely one area where Christians need to so some soul searching and rethinking of our tradition. Hopefully, we’ll listen to our Pagan sisters and brothers who have much to teach us about the positive, transforming power of darkness. This entry was posted in Creation Spirituality, Spirituality and tagged Barbara Brown Taylor, Christian, endarkment, Pagan, Spirituality, Wicca. Bookmark the permalink.